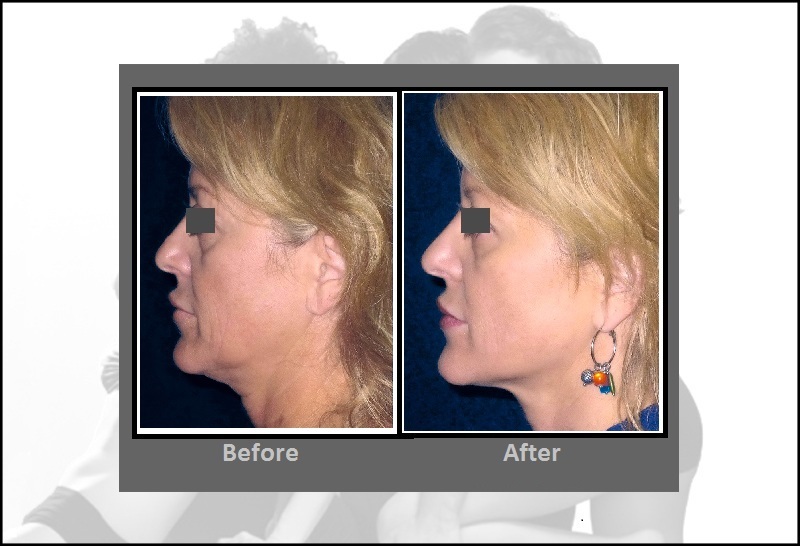 We use Precision Tx™, also known as Sidelaze™, to perform minimally-invasive, laser face and neck lifts. Precision Tx™ (Sidelaze™), which is the latest technology in this area (developed by Cynosure, makers of SmartLipo™ and Cellulaze™), uses a small, side-firing laser which is more efficient, direct and precise in the heating of the tissues than previous laser technology. This leads to more predictable, reliable results and unprecedented safety through real-time temperature control using Thermaguide™. 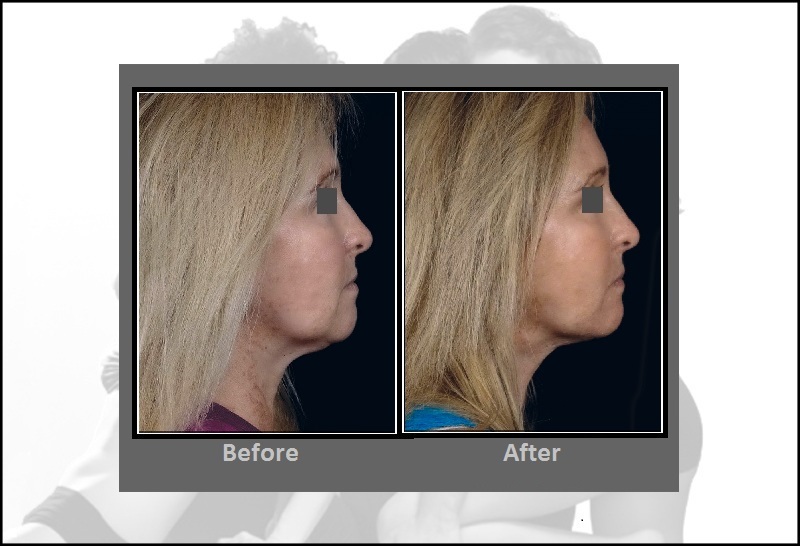 The Precision Tx™ (Sidelaze™) procedure is a good choice for patients who are not ready for a traditional (surgical) face/neck lift. We are the first practice in the Greater Hartford area to offer this treatment. The procedure is performed in an office visit and causes minimal downtime. If you have any questions or would like to make an appointment, call us at 860-242-0497 or Contact us. How does Precision Tx™ (Sidelaze™) work? The Precision Tx™ (Sidelaze™) treatment is performed by inserting a very small cannula (or tube about the size of the tip of a pen) with a proprietary SideLight™ laser fiber inside of it which allows the delivery of energy under the dermal layer of the skin in the lower half of the cheeks, under the chin and down the neck. The heating effect of the laser causes tissue coagulation leading to an instant tightening of the dermal and epidermal layers as well as the underlying tissue. New collagen growth is stimulated and occurs over three to six months following the treatment. Treating the cheek area tightens the jowls and lifts the skin below, while treating the area below the jawline tightens the skin under the chin. The best candidates for the Precision Tx™ (Sidelaze™) treatment have mild to moderate fatty tissue and loose skin in the lower face, jowls and neck. Severely loose skin is still best treated by traditional face/neck lift techniques. One of our medical providers will determine if you are a good candidate for this procedure during your complimentary consultation. How many Precision Tx™ (Sidelaze™) treatments are required to achieve the desired results? Only one Precision Tx™ (Sidelaze™) treatment should be necessary* to achieve the desired results. You’ll see some immediate results, but full results won’t be apparent for three to six months. Does a Precision Tx™ (Sidelaze™) treatment hurt? There is minimal discomfort associated with the Precision Tx™ (Sidelaze™) treatment since patients are treated with a local anesthetic to numb the areas that will be addressed. Patients may feel slight pressure or a warming sensation in and around the areas to be treated, but these are mild sensations. Are there any side effects associated with Precision Tx™ (Sidelaze™) treatments? Precision Tx™ (Sidelaze™) is a minimally invasive surgical procedure, therefore after the treatment there will be some swelling and a little soreness. Further, patients may have some fluid leak out of the incision sites during the first 24 hours following the procedure. A facial compression garment needs to be worn continuously for the first 48 hours following the procedure. The garment then needs to be worn 12 hours a day for the next 12 days, and then as often as possible for an additional 2 weeks to further enhance results. Most patients are able to return to their normal activities in a day or two. How long does the Precision Tx™ (Sidelaze™) procedure take? On average, the procedure will take one to two hours. How long do the Precision Tx™ (Sidelaze™) treatment results last? Since new collagen is formed, results should be long lasting. There will be only three small incision sites, one under each earlobe and one under the chin. Therefore, in addition to not being in visible locations, with proper care, any scar should be barely noticeable. Our medical providers will evaluate your skin type and provide information on scar prevention. How much does a Precision Tx™ (Sidelaze™) treatment cost?